Leadership, the most highly sought after trait by recruiters and universities alike, can be defined and exemplified in innumerable ways. More than just having the ability to persuade and motivate others, leadership encapsulates a myriad of traits and capabilities that extend far beyond one’s personality. 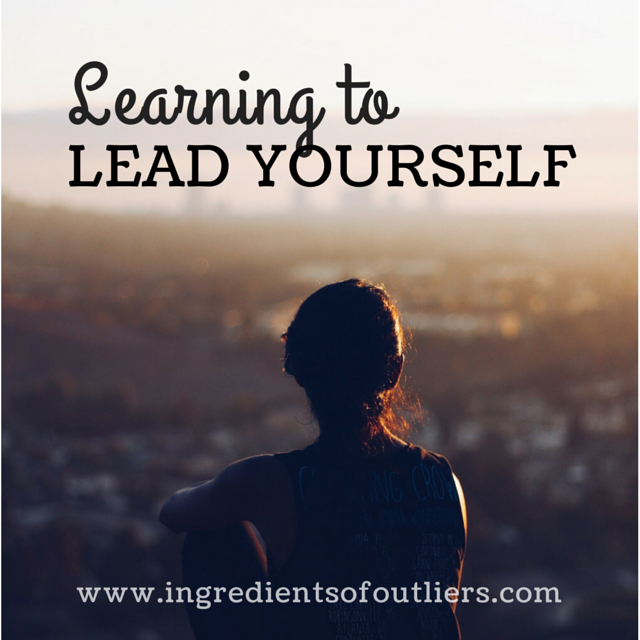 The truth is, the roots of leadership start with learning to lead yourself. We drew from the article Can You Lead You? to outline three abilities we believe are foundational to becoming a better leader. The ability to self-regulate is a key characteristic of emotional intelligence and will prove its worth throughout every facet of your life. Someone who is able to self-regulate recognizes that attitude is a choice. Are you able to take a step back, evaluate your attitude, and put it in check if needed? Or do you allow external situations, interactions, and inconveniences define your mood? Choosing to maintain a positive attitude regardless of how you instinctively want to feel is contagious, admirable and never goes unnoticed. Learning to say “no” is a fine art. The people-pleaser (and maybe even over-achiever) inside all of us tends to leave us with a calendar full of unsolicited obligations and a feeling of chaos. Remember that you are in control of your schedule and you have full authority to say no to commitments that are not a priority. An occasional (and polite) “no” will render you a more efficient worker, as you can devote your focus into a select amount of activities you deem valuable. Whether you realize it or not, people are observing what you say and how you say it. Our words are an indicator of our character and have the ability to influence others like nothing else can. Are you disciplined enough to control your words? Are the words you speak valuable, productive, and encouraging? Do they reflect how you would like to portray yourself? If you want to be a CEO, do you speak like one? Good leaders think before they speak because they know their words carry weight, and that there is no way to “unsay” what has been said. 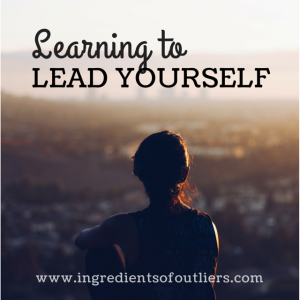 Whether you have have your eyes set on becoming a leader in your community, a professional in the medical field, or the next Mark Zuckerberg, having the ability to lead yourself is the cornerstone of all other leadership skills. For more on insights on leadership, explore our upcoming program LeadershipYOU, a series of online resources to guide you through becoming the best you possible.